When Venus returned to a fun, playful, romantic and creatively charged part of your chart last month she retrograded back out just 13 days later, in what may have seemed more like a false start. Yet as Mercury spends his first full day here he has no intention of following suit and during his watch some of the biggest opportunities in over a decade will unfold. From the get go choose to wear your heart on your sleeve, working with the planet of communication to give your heart a voice and to put heart and mind on the same page. 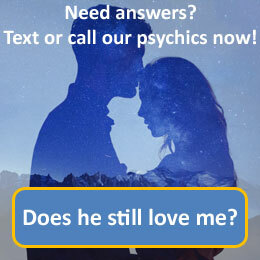 Call 09069 669 602 for a more detailed reading with our psychics today. Taurus, the bull, is the second astrological sign in the Zodiac, originating from the constellation of Taurus. In astrology, Taurus is considered a "feminine", negative sign. It is also considered an earth sign and is one of four fixed signs. Taurus is ruled by the planet Venus. Individuals born under the sign of Taurus will tend to have long faces, a well defined jawline, small ears, a large and dimpled chin, some times prominent foreheads. Many astrologers believe Taurus to be very good looking individuals. They are thought to usually be above average height and the women often possess a voluptuous figure. Typical traits of the Taurus include; loving, loyal and hard working. They can also be know to be stubborn, cautious and over indulgent. 0906 = £1 per minute plus your phone company's access charge. 18yrs+. All calls are recorded. SP = PSL. Helpdesk 0207 966 9646.